In his 37 years as an architect and design professional, Joe has been exposed to pretty much every type of building project and construction situation. Joe spent the early years of his career working for structural, mechanical, electrical, and fire protection engineers. This experience gave him the tools and skill sets that allow him to address virtually any design or construction issue that may come up on a project. In addition, this exposure gave him the ability to easily excel during his 15+ years with a global food service organization, where as McDonald’s Corporate Architect, he leveraged what he learned to help build the McDonald’s brand during their most active period of store development. While there, he also directed and managed many different design teams and design related initiatives—ranging from flagship projects, to prototype development and management, and brand/signage/identity related initiatives. Since then, Joe has worked with many other restaurant and retail companies supporting their store development efforts, such as: Saks Fifth Avenue, Naf Naf Grill, Macy’s, Hyatt, Car-X, Jockey, Chase Bank, Discovery Clothing, Bon Ton Stores, Citgo, Thornton’s, Empire Carpet, Kohler, Napleton Automotive Group, CD Peacock, McGrath Auto Group, McDonald’s restaurants, and many more. Joe’s particular specialty is understanding and synthesizing broad conceptual ideas and ambiguous direction, and quickly bringing them into focus to produce an efficient, economical, and aesthetically pleasing solution. These skill sets—combined with Ideation’s award winning design expertise—result in beautifully designed, well-constructed projects, adding value to the client’s store development process, while successfully building and maintaining relationships with our clients. Joe received his Professional Bachelor of Architecture degree with honors and distinction in design from the University of Illinois at Chicago. He is an AIA, ALA member, and is NCARB certified. 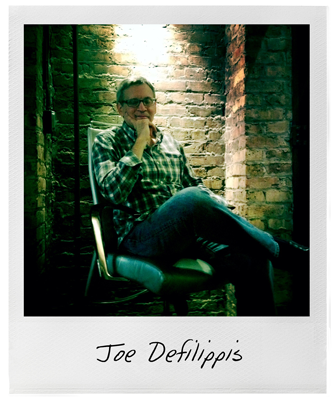 These credentials allow Joe to be one of the very few licensed architects with the ability to practice in 48 states and the District of Columbia. For projects in the city he is a City of Chicago self-certified architect. Apart from his professional work, he is working on his less than formidable golf game, and designing the “perfect” future retirement house.